Panax owns some of Australia’s largest geothermal resources. There are three Measured Geothermal Resources in Australia currently recognised by the Australian Geothermal Reporting Code – two of these are held by Panax. This is the highest classification a geothermal resource can receive before reaching commercial geothermal reserve status. Panax has three projects in South Australia located in the Otway Basin and Cooper Basin. 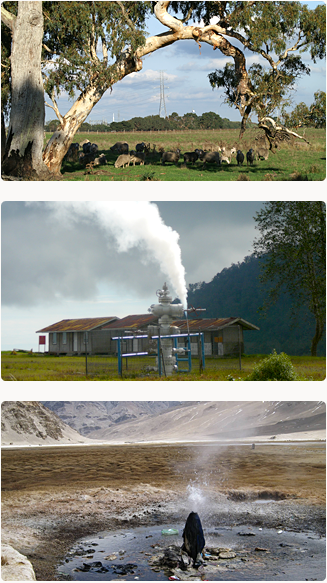 Read more..
Indonesia is considered a world geothermal ‘hotspot’ and has more than 27,000 megawatts potential. To meet the electricity demands of the fast growing economy, the Indonesian Government plans to expand geothermal generating capacity by 240 per cent over the next four years. Panax has secured several projects in Indonesia and will continue strategically increasing its project portfolio. Read more..
Panax is targeting projects in the Indian Himalayas which is characterised by high geothermal gradients and very high temperatures. Panax is focussing its interests on the Puga Project in the upper Indus Valley, part of the Himalayan geothermal province which is a belt of extreme high-heat flows which extends east into Tibet.